It’s an age-old debate amongst property investors but I’m here to settle it once and for all. Out of houses or units, which makes the best property investment, and what will people prefer to live in 10 years down the track? You’ll find lots of different opinions about this subject from investors and advisors, but the fact remains that communities and lifestyles continue to evolve and change – which means it’s important to keep an open mind and update your knowledge as new information comes to light. When it comes to debates as long running as this one, there are a lot of outdated pre-conceived notions around buying houses vs units. Generally speaking, the advice has been that houses are a better investment option, often owing to the belief that the value is in the land, not the building. 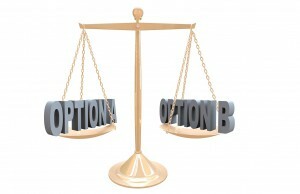 So which one is really the better option? Quite frankly, the answer is: Neither. It’s like saying, what tastes better: an apple or an orange? You can’t say which one is better, because they are different fruits that satisfying different nutrient needs and tastes. 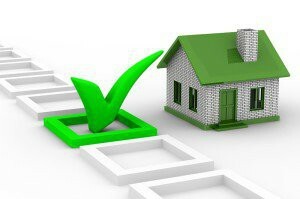 Similarly, when it comes to choosing your properties, there is a certain checklist that guides you to making a wise decision and the suitability of a house or apartment as an investment will depend on your specific list. These might include location, proximity to local amenities, the economy, the local property market, previous growth rates and rental yields, demand for housing, and your own financial affordability… to name just a few! 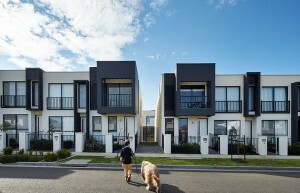 So you can see why it’s difficult to say definitively whether houses or units are a better choice for long-term wealth creation, as each dwelling must be weighed up based on its ability to perform when measured against your financial means. When do units make more sense? Let’s take a look in more depth at when units might be a more viable investment option than houses. 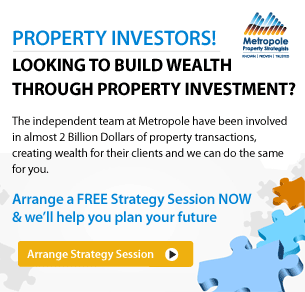 Ultimately, the purpose behind property investment is to create cash for your future. This means that your property needs to perform long-term, and that means thinking about what people will be looking for now AND what they will want 10, 15 or 20 years down the track. There are certain areas where houses will see higher capital growth than units, and areas where units will surpass houses as the high achievers. It all comes down to supply and demand, which is dependent on the demographic of the area. The maths is simple – the more demand for the type of property by owner occupiers (who of course push up the value of the property), the better the capital growth. There is some evidence to substantiate that units will become the more sought-after properties for certain demographics. A study by the Australian Bureau of Statistics showed that from 1986 to 2011, the rate of one-person households increased by 5%, while family households decreased by around 6%. So it appears that a trend is emerging where we are choosing to live in smaller residences with fewer people per household. Over the next 20 years, units and apartments may become more sought after, particularly as they are often closer to or in metropolitan areas which generally suits the lifestyle of this demographic of people. This makes sense if you think about it, because single people or couples without children will likely prefer the convenience of less travel time and closer proximity to transportation and city living. Families will likely trend toward living in outer-ring suburbs and commute into the city. RP Data also shows that over the past few years in many locations unit prices are increasing at a higher rate than single dwellings. Clearly, you can see there is a lot more to property investment than just finding a nice property to rent out! It’s important to put a lot of thought into your choices and seek expert advice so you can weigh up all the options carefully. When don’t apartments make sense as an investment? There are many other factors to consider in the house vs unit debate, one of which is body corporate fees, which generally all units and apartment buildings include. These fees cover maintenance of the grounds, shared electricity and any facilities the building has like a pool or gym. The problem with body corp fees is that they eat relentlessly into your profits and their rate of increase year-to-year is unpredictable. It’s vital to factor these fees into your financial capability to ensure you don’t sink your money into a property that may become a sinking ship when the fees increase. As a guide, body corporate fees can range from $20 to $250 per week, depending on the apartment complex’s size, management and level of amenities. Houses, of course, don’t attract this cost centre but as an owner you still have to pay many of the outgoings the body corporation pays, such as insurance maintenance etc. And just as importantly, the benefit to you as the owner is that you are the boss when it comes to changes and upgrades of the building and land. Units come under strata laws that you must abide by, which may limit your ability to improve or develop your property. This can have further negative impact on your opportunities to increase rent. 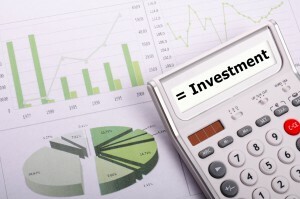 How can you decide which investment makes sense for you? 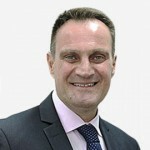 Supply and demand is the driving force behind successful long-term properties, regardless of the housing type. Diversify: you don’t have to stick to the same dwelling type with each investment. Factor in body corporate fees and building limitations for units and apartment blocks. Research the area to determine the demographic of people (and which property type) will be in demand in the future. Simply put, the key to successful property investment is finding the right properties to suit your investment strategy and the needs of future renters and buyers. You can make wiser investment choices by doing your research and remembering that pre-conceived notions are not always correct, with the changes our society is continually making in terms of our living preferences. Stick with using numbers and figures to help you make the best decision for your properties, and for your long-term financial independence. Very interesting and informative article, George, thank you. It gives great guidelines to find that investment property which will suit future tenants and give good capital growth and yield, which is what we all want. Hi Linda, thank you for your feedback.